Welcome back to the blog! 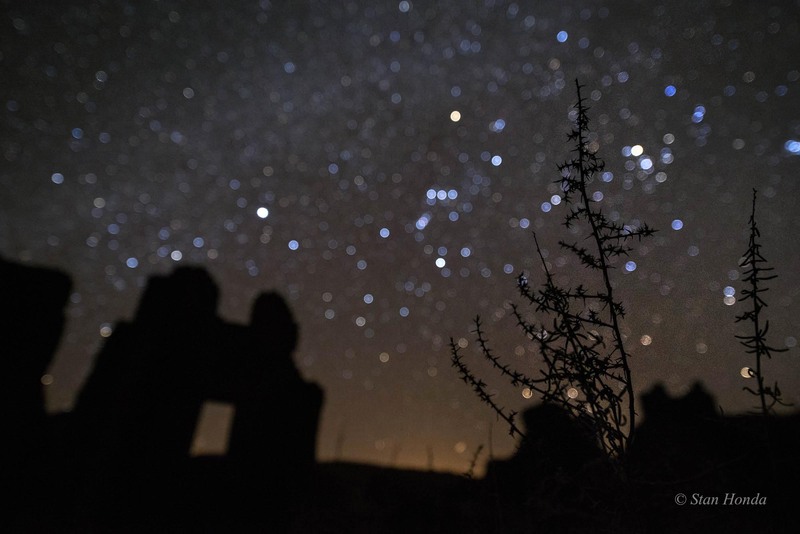 For the month of March, I’m the “Dark Sky” Artist-in-Residence at Chaco Culture National Historical Park in northwest New Mexico, an amazing place. Among other things in the area called Chaco Canyon are ancient pueblo great houses that date from 850 AD. The park has protected and preserved many of these structures and has allowed me to access the sites for the night sky photography. Thanks to the help of Tanya Ortega with the National Parks Arts Foundation and Nathan Hatfield, Chief of Interpretation at Chaco, everything came together for the residency. I arrived March 1 and so far everything has been great. There haven’t been previous postings because of no internet connection. No internet!? How can that be? It seems park volunteers, which I am classified as, need a separate password from the staff. So the kindly administrator needed to work around technical problems and generate new codes. I’m writing from the kitchen table of the one-story apartment I’m sharing with a ranger. 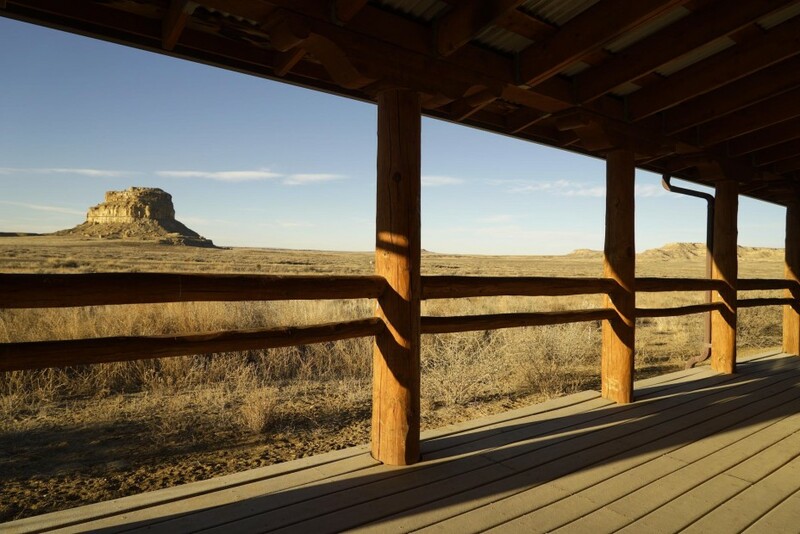 The view out the window is of Fajada Butte, one of the huge sacred sites in Chaco Canyon, a view that’s hard to beat. I had two roommates in this 4-bedroom apartment, but Phil Varela, who I got to know on previous trips here, just left to return home to Minnesota and on to a new job at another park. Steve, one of the rangers and I have the duplex to ourselves for a while, until a seasonal ranger arrives later in the month. Chaco was designated an International Dark Sky Park by the International Dark Sky Association in 2013 and it certainly lives up to this. I’ve been out almost every night and several pre-dawn sessions to photograph the pueblos and the sky. Some nights have been so clear there really are countless numbers of stars in the sky. Here are a few pictures from these past two weeks, next posting in a day or two. 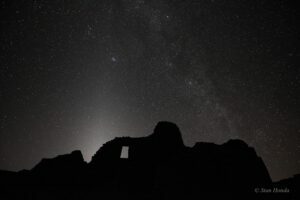 The cone of light on the left is the zodiacal light, only seen in very dark places, outshining the Milky Way, at Pueblo del Arroyo. The big kiva in moonlight at Chetro Ketl. 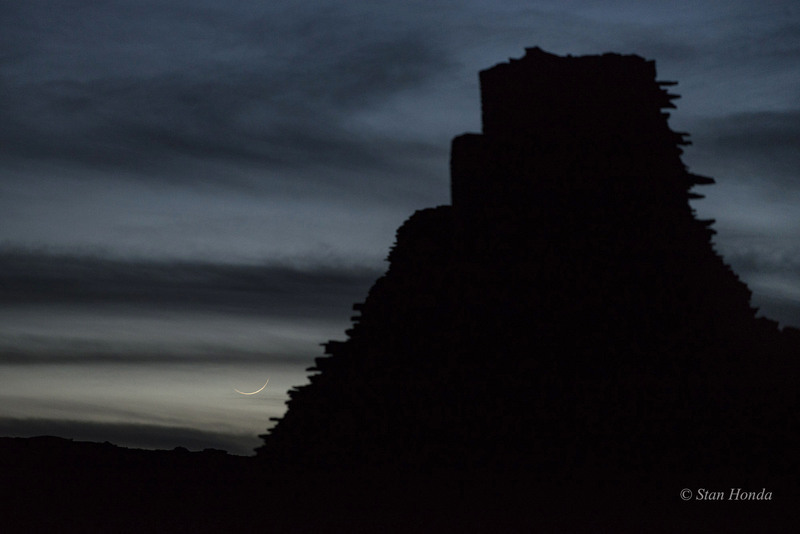 A 24 hour-old crescent moon setting behind a big wall at Pueblo Bonito. From the botanical series, at Kin Kletso. Orion, the hunter, dominates the southwestern sky. The International Space Station passes over Fajada and the Milky Way in this 3 minute exposure. Stan – Thanks for the information. 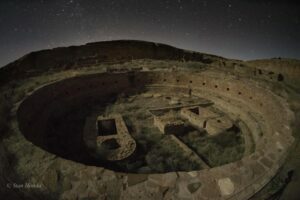 How easy was it to access the ruins (particularly the Great Kiva) during the evening? Did you need a special permit or tour or were you able to freely walk and photograph on your own? Abuko, I was the artist-in-residence at Chaco so I had special permission to access the great houses at night. The loop road is closed from sunset to sunrise. I will also email you. 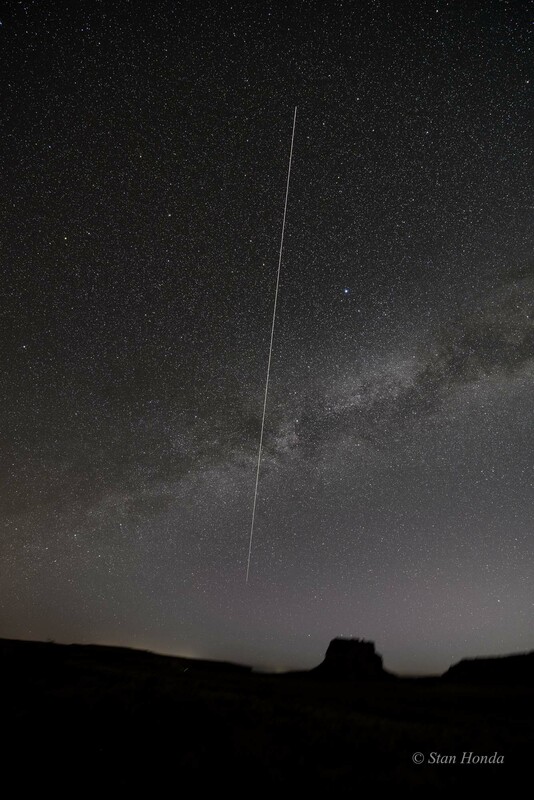 I am intent on getting the Milky Way over Pueblo Bonito. I see the campground is closed after sunset. Is there a way ? I am a past member of the Society for Historical Archaeology and a fellow in the explorers club so not wanting to disturb ruins and wary of wildlife and night time in interesting geography. George, the campground is open all the time. The loop road to the great houses is closed at sunset. You could ask the park if they do any after hours photo trips into the park. Beautiful images!! I live in Albuquerque and plan to be at Chaco on Saturday March 19th for the tutorial that Stan will be providing that night. Looking forward to the experience.